A few years ago I bought a bicycle carrier for the car. The carrier was made in Sweden and well-designed. The Swedish generally seem to know what they’re doing: See Volvo, Ikea, Ingmar and Ingrid Bergman. I’m not an engineer, nor do I play one on TV. I’ve worked as a business analyst and technical writer. I’m pretty good at figuring out how at least most non-human things work. The carrier never seemed to fit quite right. The bike stayed on the car and didn’t end up under the wheels of an eighteen-wheeler or in a ditch. But it scraped paint off parts of the car and off parts of my psyche it shouldn’t have. I fussed with the straps and adjusted various angles. I read the instructions – both online and printed. Tears were shed. Curse words were said. I passed from denial through bargaining to acceptance. Bitching and moaning gave way to muttering under my breath. I used the rack only now and then, anyway. We rarely experience the ideal in life, and I had done the best I could. Still, I cringed every time I put the carrier on. in March of this year I joined the local chapter of Engineers Without Borders. The group’s regional and international goals are to get water and other necessities of life to people who don’t have them. EWB projects are self-funded. Volunteer members work in partnership with domestic and overseas communities to dig holes, pour concrete and lay pipelines. Disciplines range from mechanical and civil to electrical, nuclear and software engineering. A fair number of women serve as members. Perhaps their estrogen-inspired desire to measure twice, cut once balances male members’ testosterone-fueled impulse to to ‘get ‘er done.’ But that’s a generalization. Since spending time with them, I’ve learned about elevations, hydraulic pressure (including ‘water hammer’), water treatment and local whiskey distilleries. The chapter holds periodic happy hours and fundraisers at local watering holes and other establishments. Maybe some of that engineering expertise rubbed off on me. The next time I hauled out my bike carrier, I looked at it — I mean looked at it — and said, ‘Hold on, this just can’t be right. I’m going to find out what it is. The cult of presumed expertise and received wisdom increasingly monopolizes our society: the notion that someone else always knows better than we do. I won’t say it’s making us stupid1, but the accoutrements we must master to live our lives grow daily more complicated (or so we tell ourselves). The sheer cognitive and emotional overhead of everything from keeping track of our ‘friends” exploits on Facebook to deciding what car to buy threatens to overwhelm us, resulting in a loss of confidence in ourselves and our abilities. This in turn undermines the self-reliance and individual liberty that democracy depends upon. There used to be a quaint expression called Yankee Ingenuity for taking the initiative and making things better ourselves rather than passively accepting the status quo or deferring to someone else. In the global marketplace this could now now just as easily include Southern Ingenuity, Goth Ingenuity, Muslim Ingenuity, LGBT Ingenuity or Indian Ingenuity. When I took the dirty carrier off the car and laid it on the bedroom carpet (which I covered with newspapers), I found whoever assembled it at the factory or the store reversed two parts, putting them on opposite sides. I had simply accepted the state of affairs (or been too worn down to change it), assuming whoever put it together knew what they were doing. I scrounged for some metric wrenches. I disassembled the offending parts and carefully put them back together again (watching out for leftovers). This was no small task, and I shouldn’t have had to do it.2 But when I was done, the carrier fit properly on the car the way it should be. What caused the ‘Hold on, here’, the ‘ah ha’ moment (which wasn’t that sudden, really) that caused me to go to the factory web site once more and compare what I saw to what was on the screen? 1Others do that. See recent references to Google, Wikipedia and other recent phenomena supposedly making us stupid. See also deskilling. 2Whatever sense of accomplishment I experienced was mitigated by frustration and the damage done to the car. 3Of failure, transgression and accountability. In this time of year to reflect on the past and look forward to our future, we often display a curious amnesia when it comes to events that predicate the present. 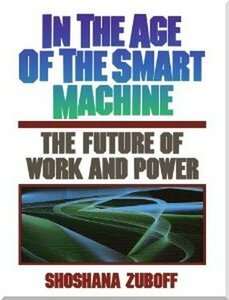 Twenty five years ago Shoshana Zuboff’s In the Age of the Smart Machine: The Future of Work and Power appeared. We proposed a retrospective to several publications. Those we approached were not interested or did not have room. Even while citing her work, many people in industry and academia have no notion or appreciation of its prescient nature or profound insights. Zuboff’s contribution (besides having great hair) was to capture the thoughts and voices of people in the midst of change — in their jobs, in the way they thought, in the way work was defined. In a synthesis of history, psychology, anthropology and oral history, her book anticipated the impact of computer technology in the workplace and in our daily lives today. In clear, articulate prose, Zuboff captures the voices of those confronting new technology in paper mills, insurance agencies and other industries. She explores the laboring body vs. the laboring mind; the skill in acting on materials vs. with people and ones and zeros; the abstraction of labor and making decisions based on ephemeral data and working with people one never sees. There has been a lot of discussion since then of the virtual office, the global economy and social networking. The Internet is now a fait accompli. E-mail is old hat. The world wide web gave rise to Facebook, which begat Twitter,which begat instagram. 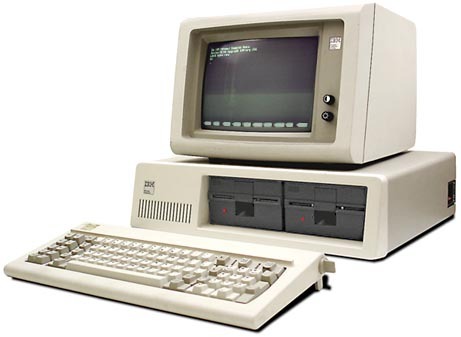 But at the time the book appeared the IBM PC had only recently debuted. The Macintosh was a revolutionary machine with a graphical interface. WindowsTM(version 2.0) was barely beyond a gleam in Bill Gates’ eye. Technology for the world wide web (TC/IP protocol and hypertext linked database) was a work in progress at CERN1. Online networking was the domain of dedicated services such as Compuserve and Prodigy. In an argument as old as the 19th-century factory system and early 20th century Taylorism2, Zuboff quotes managers and technologists who extol the virtues of separating people from the skills and experience that give their work value in the interest of efficiency and predictability. Zuboff illustrates the cost as well as the benefits of this dynamic and the human side of the equation. At the time of her research in the 1980s most efforts focused on automating repetitious or dangerous physical tasks (e.g., mixing toxic chemicals in a paper mill) and clerical skills involving data entry. Since then computer algorithms have invaded functions previously thought the exclusive cognitive domain of humans. Examples include data modeling, pattern recognition and predictive analysis used in engineering, medicine and the financial industries. Some of these result in calculations so complex that those who created them don’t understand their meaning and limitations. Trading instruments created by the human mentats3 of Wall Street (aka quants) to calculate derivatives helped precipitate the 2008 financial crises. In 1988 there was still reason to feel that the benign aspects of computer automation would prevail – relieving us from tedium and danger of the workplace and opening up unlimited vistas for human beings to collaborate, share knowledge and solve problems. You can lead people to knowledge, but you can’t make them think. The dream of finding universal laws and finding ways to create a better world (or at least workplace) and ‘improve’ human existence is as old as civilization – beginning with simple machines, followed by water power, steam, electricity and nuclear energy. Zuboff’s genius was to recognize and record a time in history when the power to do this seemed suddenly (and again) within reach. Her findings anticipate — and also warn –against the world we live in today. Before the NSA and YouTube, she anticipates issues of privacy, autonomy and deskilling. The workers Zuboff interviews take pride in doing their jobs with a degree of autonomy — rather than simply dancing to the computer’s tune. This is no different than workers we have interviewed in the new millennium who demonstrate value and problem-solving in working around system’s limitations or to fulfill unexpected demands — even at risk of censure. In one vivid example Zuboff cites, workers in the paper mill impatient with waiting force open the Star-Trek-like doors designed to protect them from the toxic fumes. The issues of human deskilling and the abstraction of labor (not just in performing labor, but of emotional and social interaction) from its meaning and value, still loom before us. Unchecked, the Utopian impulse may not just reform, but divorce us from our own humanity. Led by visionaries such as Steve Jobs and Ray Kurzweil, technology insinuates itself our lives more and more each day – with the goal replacing the human frailty and idiosyncracies with supposedly more efficient algorithms. Zuboff’s mindful approach to exploring technology and change has been overtaken by ever more creative ways to monetize the web and offer deals to consumers that seem increasingly Faustian. We take videos of ourselves, tweet our most innocuous and profound beliefs. Others follow us without knowing a thing about our lives. Our buying habits and selections follow us as well – whispering new product suggestions in our ear based on our lifestyle. Some of these now allow us to monitor and share our sleep, our weight, and our exercise routine minute-by-minute, under the assumption that data provides connection and meaning. As writer and essayist Mathew Crawford e-mailed one of us, ‘We are coming to know ourselves too well, I fear.’ Too often technology simply enables us to clothe our old behaviors in shiny new raiment, rather than providing useful insight to understand or change them. After Age of the Smart Machine, Zuboff wrote The Support Economy: Why Corporations Are Failing Individuals and the Next Episode of Capitalism with her husband James Maxmin. She lectured at Harvard and wrote articles for Scientific American, Business Week and Fast Company Magazine. Most of these focus on the need for businesses to empower workers and consumers through technology, rather than exploiting them. Along with her work at Harvard, Zuboff, now just in her early 60s, founded the executive education program “ODYSSEY: School for the Second Half of Life”. A discussion board at Fast Company carries her entries through 2005 and 2006. After that they cease. One gets the impression that, having fought the good fight, Zuboff leaves it up to the rest of us to carry the banner now. Computer technology is always waiting for a new paradigm around the corner to fully realize its potential: From ‘scientific management’ to knowledge-management; from crowd-sourcing and the wisdom of crowds to social networking. But in the workplace or on the web, in government or industry, for the most the technology is still used almost exclusively to improve efficiency by automating tasks and reducing the expertise and skill required to perform them to the lowest common denominator – often by eliminating the human element or forcing individuals to adapt to misconceived business goals and processes. David Abramoff Ph.D. is director emeritus of Advanced Labor & Cultural Studies. For Chuck Lanigan, director of events and outreach, a previous career developing Lotus Notes workflow applications means never having to say he’s sorry. He writes and consults on workflow and collaborative computing and holds an M.A. in educational communication with a focus on literacy, critical thinking and computer-mediated work. His creative work includes spoken-word presentations and live events. 2 Also known as scientific management, and characterized by time-motion studies applied to find ‘the one best way’ of performing physical labor and tasks. This approach is still used today in many workplaces. Advanced Labor & Cultural Studies is embarking on an oral history project on technology in literature, popular culture and the creative arts. Starting the first quarter of 2014, we will schedule interviews to gather peoples’ reminiscences and first-hand stories on the role technology has played in their work, leisure and daily life. For questions or if you are interested in participating, please e-mail outreach@alcstudies.org or call (412) 353-3756. You can also use our handy contact form.